He admits he\'d love to do more theatre, but for now, he\'s doing it only for his school. NEW DELHI: A professional theatre actor with around 40 plays to his credit, Boman Irani is returning to the stage after a decade. The 54-year-old, who has carved his own niche in the Hindi film industry, says that while theatre is not a "stepping stone to becoming a Hindi film actor", it's a medium for "truthful schooling" for them. "Theatre is not a stepping stone to becoming Hindi film actor. It is certainly an ideal place to learn (acting), getting theatre discipline and to develop characters... Theatre is the truthful schooling for an actor but it is not necessarily a ticket to Bollywood," the versatile actor told IANS in an interview. In the past, he has featured in plays like "Family Ties" and "Mahatma vs Gandhi", and is now back to theatre via his alma mater St. Mary's School's fund-raising play titled "Rusty Screws". It will be staged as part of the 150-year celebrations of the Mumbai school. He admits he'd love to do more theatre, but for now, he's doing it only for his school. "I wasn't prepared to go back to theatre just yet. The reason why I agreed to do this is simply because it involved my school and we were doing a fund-raiser for it," said Boman, who is also a professional photographer. Boman started his film career in 2001 with films like "Josh" and "Everybody Says I'm Fine! ", but he was noticed when he portrayed the role of J.C. Asthana in Rajkumar Hirani's 2003 hit comedy "Munnabhai M.B.B.S". He was then appreciated for his roles in films like "Being Cyrus", "Lage Raho Munna Bhai", "Khosla Ka Ghosla", "Don - The Chase Begins Again" and "3 Idiots". 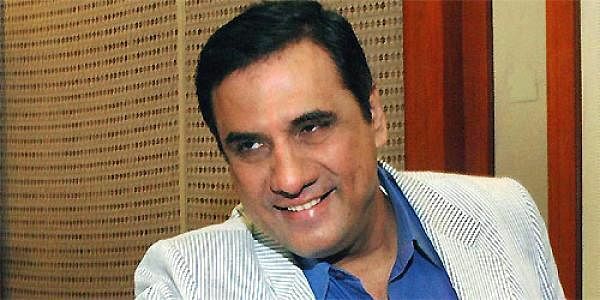 In an age when most actors end up doing stereotypical roles, Boman is seen experimenting by playing a mature lover, villain and comedian. He credits this to the acceptance of fresh scripts and unique stories in the industry and also to the filmmakers who trust his potential. "We obviously have certain principles on the basis of which we deal with our careers, but there are people outside of your being who actually are in many ways the architects of your career. You can only have certain principles of how you are planning to operate your career, but the people around you might have different things for you. "How they shape your career and how they feel that you are fit for their film is gratifying. For instance, if Raju (Rajkumar Hirani) felt that I am right for his stuff, it is his belief in me, or if Farhan Akhtar believes that I'm the right person to play a villainous role, it is his belief in me. "I may want to do something completely different, but it is eventually dependent on a film, which is director's medium," he said. And so, he says, he has been able to display his versatility thanks to his directors. "My good fortune of doing a variety of roles is not because I have gone out and looked out for a variety of roles, it is because of filmmaker's faith in me. The credit goes to them, not to me," added the actor. He is also open to working on the small screen as long as he gets a chance to fulfil his passion for acting. "Acting is acting whether it is on stage, television or on screen. There is no difference in the preparation of the character. Even if you are doing a character in a short film, it's all acting. If tomorrow there is something really exciting on TV, I am open to anything as long as it is acting," said the actor. Apart from Bollywood, he is also a known face on TV commercials and his recent endeavor is promotion of the health benefits of edible oil as a face of 'P' Mark mustard oil, manufactured by Puri Oil Mills Limited. The TV commercial is directed by his son Kayoze Irani, who made his acting debut with "Student Of The Year".